This entry was posted on August 25, 2009 at 1:35 pm	and is filed under Maysa, Pictures, post DOC band. Tagged: brachycephaly, doc band, Pictures, plagiocephaly, post DOC band. You can follow any responses to this entry through the RSS 2.0 feed. You can leave a response, or trackback from your own site. I love how you post these pictures. I think this is one main reason I wanted a band for Lola because even after it’s off, they said I should continue to see improvements because it has shown her head the correct way to grow. Lola got her band yesterday and went better than expected, but early this morning I took it off and she had a red spot. So I left it off and let her sleep some without it. Then when she woke up she still had it and CT said not to put it back on until it fades, but it never faded today so I had her sleep without it tonight. I am going to call tomorrow, because I guess it made a little strawberry on her head. It’s right above her ear where there is a pretty big bulge. Is this normal? How long will it take for her to get use to it and be able to wear it all day and night? I don’t know how you were able to check for red spots with all of Maysa’s curls!! She has a lot of hair and it’s so cute! If Lola had more hair I feel like I wouldn’t be able to see the red spots! I hope Lola can be back in her band soon! Also one thing I notice about Lola’s band is that it’s not a brachy band but a plagio band. The brachy band doesn’t have the cap on either the left or the right. I thought that Lola only had brachy. Maybe she has both. Have they told you that she has any asymmetry? 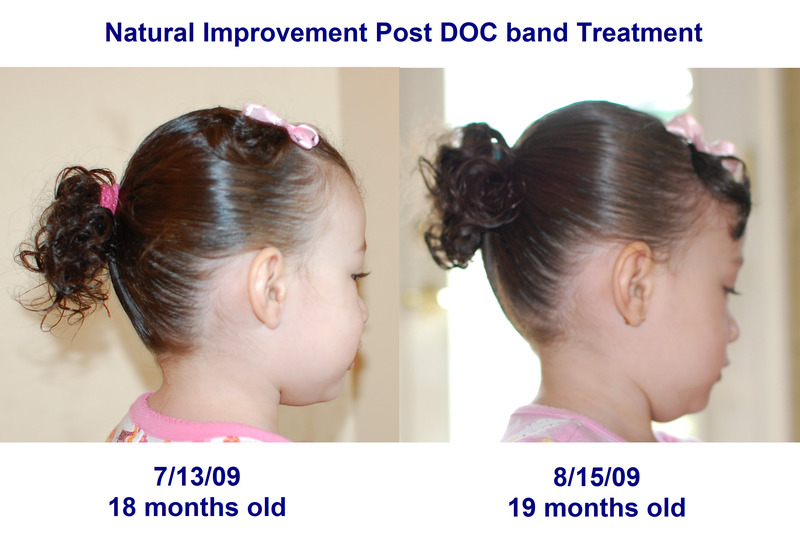 Either way, Maysa’s plagio band worked great and I am sure that you will start seeing results soon, so do take pictures of her profile and the top of her head. You will love comparing them as she progresses.